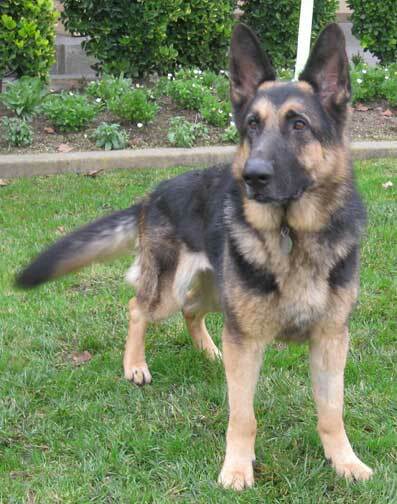 Kojak is a darling four year old dark black and tan male with a wonderful temperament. He's a very affectionate, loving and loyal dog. He LOVES a good game of tug of war and catching his ball as it bounces off the roof of the house. 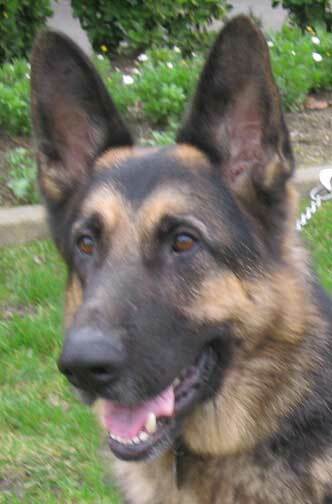 Kojak would make a great jogging partner, obedience or agility dog. He needs someone to give him a job and direction. Shortly after we got him he suffered an episode of bloat which can be potentially fatal. We got him to the vet in time and he is doing very well now. The surgery was more complicated than most because his stomach had not only flipped but also filled with thick foamy goop which had to be drained. He was sent home with a drain tube (pictures below) to stay in place until the incisions healed and the tube could be removed. 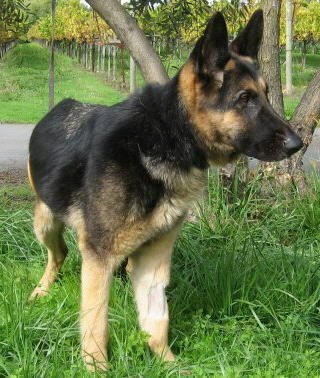 He is now fully recovered, gaining weight and ready to find his forever home. Kojak is showing his true colors now that he is feeling good. He is well behaved on leash but when he's loose with other dogs he's quite dominant. 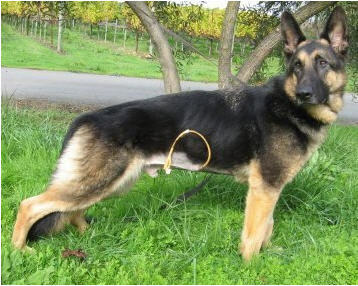 Kojak would do best in an only pet home. No small children because Kojak has designated himself the "Fun Police" and will try to discipline kids who are running and playing. NO CATS OR CRITTERS, NO SMALL CHILDREN, NO OTHER DOGS.